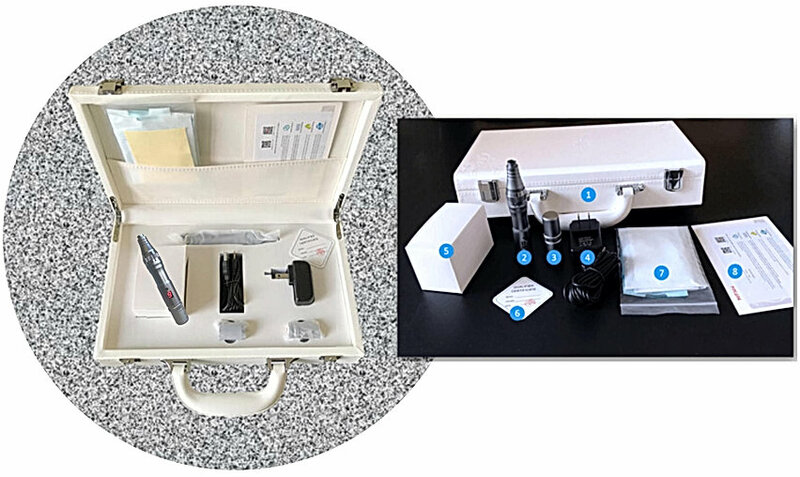 ​The One-Skin Pen is one of the most advanced and cutting-edge Automated Fractional Micro-Needling Device, offering a powerful German Motor and adjustable needle length. Utilizing Vertical Needling technology, the One-Skin Pen penetrates into the skin with a disposable needle cartridge, efficiently creating thousands of micro-channels in a few seconds. This treatment has been used successfully to treat fine lines, wrinkles, lax and sun-damaged skin, to reduce the appearance of stretch marks, improve acne ice pick scars, and induce hair regrowth. It has also been used to tighten skin after weight-loss. It can be safely performed on all skin types and ethnicities. The One-Skin Pen is sold for professional needling purposes, not for home-use. Therapists should have a minimum of 2 years in-salon experience. This high-performance device meets the requirements of professionals such as Dermatologists, Anti-Ageing Doctors and Skincare Therapists. To be used with the correct protocols & documentation i.e. 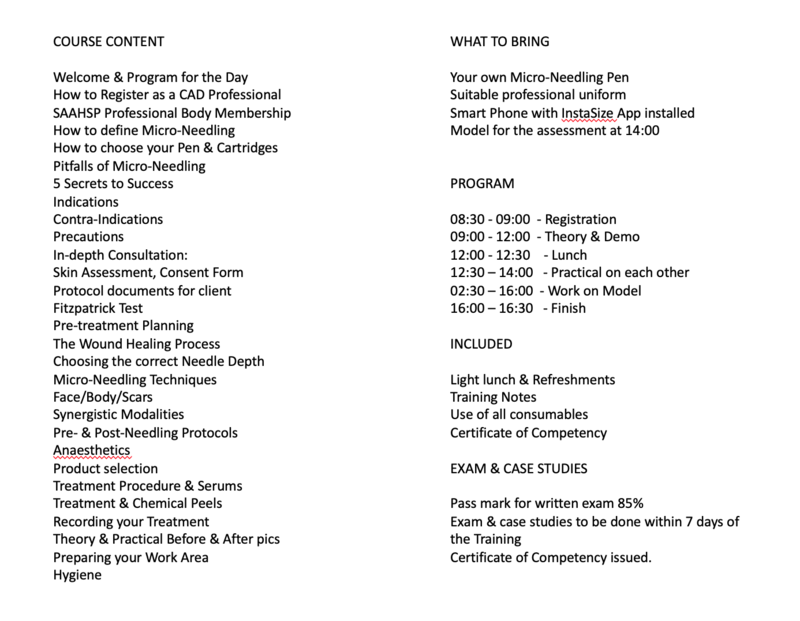 Client Skin Assessment & Consent Forms. The automated needling allows up to 2,600 micro-channels per second with precision skin needling control. The treatment is more efficient and less painful than traditional derma roller needling. Integrated reciprocating DC motor design. The one-skin micro-needling pen uses an Integrated Reciprocating BLDC motor design to provide powerful needling without the risk of causing micro-scratches on the skin. The needle cartridge are integrated and locked into the Reciprocating BLDC motor which allows for consistent back-and-forth movement. This design makes sure each needle puncture has the same penetration strength with full needle retraction even at high speed. 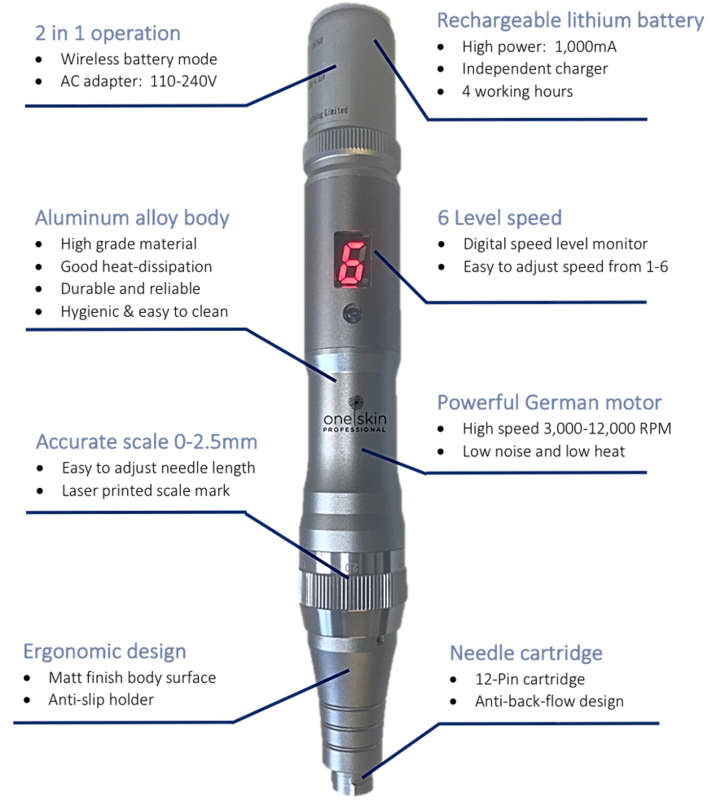 6 level adjustable speed control for optional and precision needling operation. Protective sleeve available to hygiene and protection of the device. 33-guage needle, creating tiny micro-channels with less pain and trauma. Vented Holes: Release air pressure during high-speed needling. by Dr. Lance Setterfield, M.D. 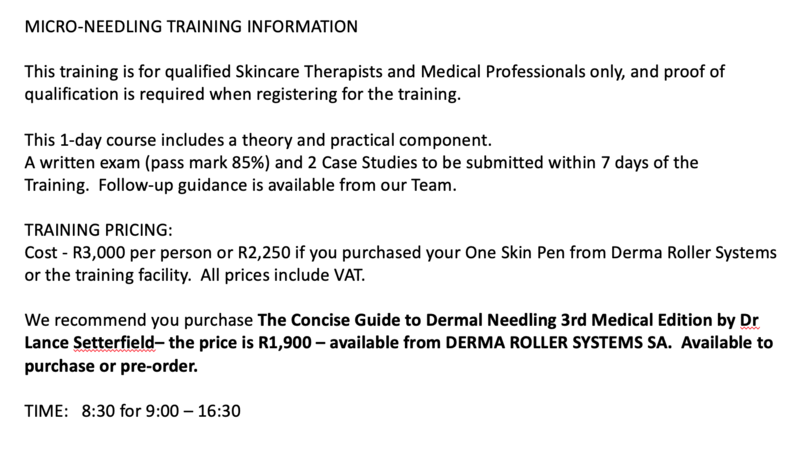 Please email info@dermarollersystems.co.za for information on how to book for our professional training dates.